For the past two years the Collins Center has been handling all foreclosure mediations in Miami-Dade County. However, it is now being replaced by the Oasis Alliance Corporation, a not-for-profit based out of Tampa. Oasis Alliance will begin the take over on March 28. Before venturing into South Florida, Oasis has been handling foreclosure mediations in Hernando, Citrus and Lake Counties. In these three counties there are about 15,000 open foreclosure cases. There are 70,000 in Miami-Dade County. Is the Oasis Alliance ready? Considering that Oasis has handled a small amount of cases compared to what they are about deal with in Miami-Dade, there is certainly some concern that they may not be ready to handle the increased case load. In addition to the case load, Miami-Dade County presents difficulties because of its diversity. During the Collins Center tenure, only 5.6 percent of distressed homeowners eligible for mediation reached a resolution with their lenders. The biggest problem the Collins Center faced was getting people to actually attend mediation. Of those who did attend, 32 percent of those cases were resolved in mediation. These figure show that if the distressed homeowners actually show up to mediation, there is a good chance that an out-of-court resolution is certainly possible. It is incumbent upon the Oasis Alliance to reach out and make a concerted effort to convince more homeowners to attend mediation. At Alvarez & Barbara, we understand the importance of attending mediation and stress upon our clients that they must attend mediation. Not only are we familiar with foreclosure mediations, we have experience as mediators. We have been able to achieve favorable resolutions for our clients at mediation, and that includes finding suitable alternatives to foreclosure. Consider Your Options. Contact Us Today. We have been successful in defending many foreclosure cases when given an opportunity to develop a plan to properly defend the foreclosure. If you are on the brink of foreclosure, need a real estate attorney, or just need to assess your legal rights, please contact our office today. Call us today toll free at 1-866-518-2913 or at 305-263-7700. Borrowers that are falling behind on their mortgage, but that have not yet been sued by their lender, may now be able to participate in a mediation prior to litigation. This new pre-file/pre-suit mediation program will be available to certain homeowners with delinquent and defaulted mortgages that are approaching the foreclosure filing stage. Our Miami foreclosure defense lawyers have assisted many homeowners in buying enough time to reach the solution that is right for them. There are many alternatives to foreclosure, and often times it just takes proper planning to properly navigate against the potential pitfalls. Help is often available to those who seek it. Conceptually, bringing together homeowners and mortgage lenders before a foreclosure filing potentially saves homeowners, lenders and our overburdened state courts time and money. Fannie Mae has mandated that its servicers participate in pre-file mediations on Florida loans that are eligible for the program. The pre-file/pre-suit mediation is only eligible to properties that are homesteaded in Miami-Dade County. The pre-filing mortgage mediation program will be initiated by the lender upon the 65th day of delinquency, at which point a determination of the loan’s eligibility for the pre-file program will be undertaken. If eligible, financial counseling for the homeowner will be arranged and mediation appointment with the homeowner and the lender’s representative will be scheduled. The Palm Beach Post is reporting that Florida’s required foreclosure mediation program is not having much success. Only a mere 6 percent of foreclosure matters are being resolved at the negotiation table. Seven of the state’s 20 circuit courts are included the report, but lawyers state there is enough evidence to show the program is struggling. Between March and June, 13, 417 cases were referred to mediation. However, only 768 ended with the borrower and banking coming to an agreement. An “agreement” included the homeowner walking away from the property, deed in lieu of foreclosure, short sale or a loan modification. 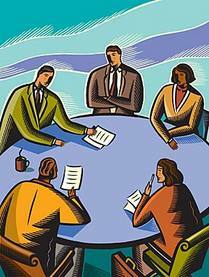 As for the mediation program, a major hurdle for theprogram is the fact that many homeowners are difficult to contact. 44 percent of homeowners were reached in cases referred to mediation, and 38 percent attended a session. Of those who actually attended mediation, 34 percent walked away with some sort of resolution. A big question regarding the program is how success should be measured. If it is measured in terms of providing financial relief to borrowers, then it may be considered a failure. On the other hand, it may be considered a partial success if it is measured in terms of how it has helped cases move forward. Some state its too early to judge whether the program has been a success and the more time is needed to properly evaluate it. Even though the numbers show few have been able come to an agreement, to date, the requirement that all parties attend mediation is important because it affords the homeowner with an opportunity to sit down and have a “face to face” meeting with the bank and tell their story. If it doesn’t work out, at least they know they got their shot. Our firm recently prevailed in a contested foreclosure dispute after having litigated the case with the bank, and their lawyers, for three years. Not only did we win the case, but we were also awarded several thousands of dollars in attorney fees in doing so that the bank now has to pay our law firm. The Judge assigned to the case awarded our firm 100% of the attorney fees we requested, and found our attorney fees to be reasonable given the complexities and issues raised in this case. This is just another example why it is important to hire an experienced foreclosure defense law firm to represent your interests. This victory is also the latest in a growing trend for many homeowners that are actually winning their cases against the banks. Many judges are frustrated by the deliberately slow, and often times sloppy, pace of many banks that are attempting to foreclose. Indeed, the Florida Attorney General Office’s is currently investigating many law firms that actively file foreclosures on behalf of many Florida banks. The investigation centers on allegations of purported fraud. Moreover, the bank’s efforts to move foreclosures out of the court system, and into a bank friendly, and bank created, foreclosure process, was rejected by our legislators. Additionally, recent changes to the Florida Rules of Civil Procedure that require banks to verify, under penalty of perjury, that the bank filing the lawsuit actually owns the mortgage, coupled with higher filing fees, and mandatory early mediation, all means that the banks have to be much more careful and precise when trying to foreclose on a property. If you are on the brink of foreclosure, and need to assess your legal rights, please contact our office today. As reported in the South Florida Business Journal, prominent Miami developer, Richard Meruelo, has filed suit against Ocean Bank seeking $9 million in damages after he and his family members were hit with foreclosure actions. As our attorneys previously discussed, many banks have taken a very aggressive approach to this very prominent family and their many real estate projects. In the latest chapter of their ongoing legal saga, Mr. Meruelo filed suit against Ocean Bank alleging that Ocean Bank should not have loaned $12.4 million dollars to them to buy land in Golden Beach while then turning around and refusing to give him a construction loan. The Golden Beach property is now under foreclosure, with Mr. Meruelo listed as a guarantor. This latest lawsuit alleges that Mr. Meruelo’s family had more than $130 million in loans on multiple projects with Ocean Bank dating all the way back to 1984. However, Mr. Meruelo, and his family, including his brother, Homero F. Meruelo, have been hit with numerous foreclosure lawsuits over the last two years. That includes an ongoing fight with a different bank that pulled the financing on renovations that were underway with the Grand Bay Hotel in Coconut Grove, and a fight to enforce a settlement agreement regarding that case. It turns out that back in 2006, Mr. Meruelo informed Ocean Bank of his plan to purchase two lots in Golden Beach, divide them into three lots and build beachfront homes on them. Ocean Bank executives visited the site, and approved the purchase of the lots. As a result, Mr. Meruelo purchased the Golden Beach lots for $17 million, including a $12.35 million loan from Ocean Bank. According to the Complaint, Ocean Bank had agreed to fund future construction costs estimated at $12 million, and this was agreed upon before the deal closed. However, the Complaint alleges that Ocean Bank violated internal policies, which requires that construction financing be in place before lending on vacant land. Moreover, it is also alleged that Mr. Meruelo never would have purchased the property if Ocean Bank had not agreed to make the construction loan. In May 2008, Ocean Bank agreed to a modified cease and desist order with regulators that severely restricted its construction lending and ordered it to get tougher on problem loan. Like many banks that agreed to such orders, Ocean Bank was prevented from extending or renewing credit to borrowers with troubled loan. This case is further illustration of the problems many individuals are in today because their bank failed to live up to its obligations. If you are in a similar situation, or if you feel short changed by your bank, please contact our office to discuss your options. How to get borrowers to pay? With foreclosures filings on the rise in Miami, many Miami, Florida and national banks are taking a different approach to the on going foreclosure crisis here in South Florida in effort to get their borrowers to pay the monies that are owed to back to the banks. It used to be the norm that debt collectors would call borrowers at all hours of the day and practically insult and scare them into paying. But with the growing financial crises in our community, such heavy handed tactics were increasingly yielding less and less results for the Miami and South Florida banks. As a result, a trend is developing. As reported in the Miami Herald, many South Florida banks are taking a new and “nice” approach in an effort to hopefully secure payments from the borrowers that have fallen behind. For instance, SunTrust, here in Miami, has courted struggling borrowers with care packages and $200, while West Palm Beach-based Ocwen Financial Corp. helps connect homeowners with food banks, employment services and even suicide hot lines through a nationwide social service referral company. Today, banks are becoming more cognizant of the fact that in this economy there are many factors that have led to a foreclosure. Often times, it is the loss of a job. As a result, many Miami banks are now contracting with mortgage referral services, and job banks, in an effort to help their struggling borrowers land back on their feet. This housing crash is more complicated than prior periods of economic unrest. Unemployment coupled with bad loans and underwater mortgages have significantly contributed to the economic meltdown both nationally, and locally. If you are facing this situation, or need further advise regarding the ongoing housing crises, please contact our office today.